Please note Shibula Lodge has unfortunately closed down. In the far north-east of South Africa is Limpopo province - an area considered to be quite wild and remote. 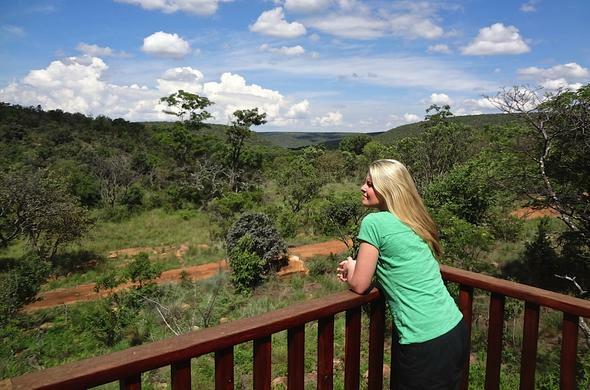 Limpopo is home to the Welgevonden Private Game Reserve, a wilderness sanctuary north of the metropolis of Johannesburg. The combination of being in untamed yet accessible, has made Welgevonden a desirable destination for visitors and international tourists. Shibula Lodge and Bush Spa is located along thickly wooded hills in the Welgevonden Private Game Reserve and is situated at an elevation that keeps all mosquitoes at bay. Shabula is famous for its spa and the many relaxing and rejuvenating treatments available for guests.Its signature massage is the TheraNaka African Wood Massage, which begins with gentle stretching techniques to relax the body. Warm olive and shea butter is then drizzled over the back, legs and chest, and specially designed smooth, wooden dumbbells are used to massage the body. The effect is intense and deeply satisfying.There are other options too, many of which involve the use of natural materials and ingredients such as basalt stones, rain sticks, baobab extract, rooibos tea and Kalahari watermelon. You emerge almost edible from a Shibula Bush Spa experience.With such good things going on in the spa, game drives sometimes take second place. This is Big Five territory, although the terrain and thick foliage is such that wild animals can watch you in secret while you search eagerly for them.One of the most satisfying moments of the afternoon game drive is when you stop for sundowner drinks to witness the perfect orange orb of the sun sink below the horizon.Darkness falls quickly in the bush and it is soon time to return to the lodge to see if someone has lit the fire in the boma.